The two-song debut CD release of Rose Garland's "Smile" & "White Christmas". This collection is not for sale -- The MP3 downloads are yours free, with love from Rose Garland. 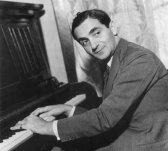 The debut release includes the Charlie Chaplin classic "SMILE" and Irving Berlin's "WHITE CHRISTMAS", performed by Rose Garland and produced by Joe Curcio at GreenPointMusic.com Studio. UPDATE 2/17/14: Unfortunately Rose passed away a few days ago. She was 79 years old. 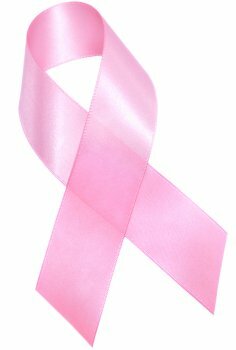 Click here to read my heart felt tribute to her also posted on Facebook. My brother John "Beau" Curcio who sang the duet with Rosie, had also passed away at 64 in 2012. Here is the link to his page as well. Rose Marie Garland was born in 1934 in Brooklyn New York. "...I have always loved to sing even as a small child. I have two wonderful daughters and have been blessed with twin granddaughters..."
"...I am a 5 Time Cancer Survivor and still fighting 4th Stage Bone and Colon Cancer and I Still Smile!!!..." "...This recording has been a dream come true! Enjoy!..." The recording took place on August 6th 2011 at GreenPointMusic.com Studio's in Brooklyn New York. The session included Rose's two daughters, sons-in-law, two grand children, and cousins John (Beau), Bobby, and Marie. One of the interesting facts about the session is that Rose Garland represents the eldest of the "Carlo" cousins, while Producer, Engineer Joe Curcio is the youngest of the cousins. In addition, and with another ironic twist, Rose's brother "Big Mike" Carlo managed the band (The Rhythm Express) that cousins John, Bobby, and Joe were in, and was responsible for booking their first real recording sessions in the mid 70's. 2. Bobby makes a joke about "...more lines than anyone else"
3. Aunt Nella talks about "...the dirty old man sitting next to her"
4. *Uncle Jerry says "...I don't know what to say ...hello and how are ya"
5. * Aunt Clara says "...how are ya darling"
7. * Aunt Paulina says "...how are you anyway"
11. Rose with a "gag reel" moment. By the way, the song Smiles' final mix and mastering was done and completed on September 11, 2011 - the tenth anniversary of the 9/11 tragedy. The music for the song Smile was composed by Charlie Chaplin and featured in the 1936 Chaplin classic "Modern Times". John Turner and Geoffrey Parsons added the lyrics and title in 1954. In the lyrics, the singer is telling the listener to cheer up and that there is always a bright tomorrow, just as long as they smile. 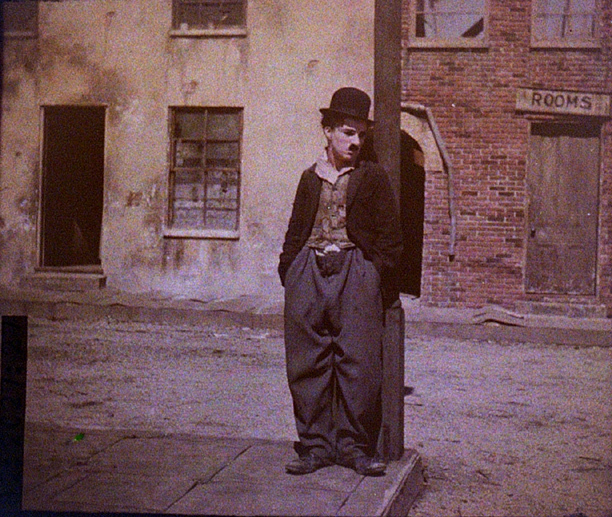 "Smile" has become a popular standard since its original use in Chaplin's film. The song was originally sung by Nat King Cole, charted in 1954. Singer Sunny Gale also covered the song, sharing sales with Cole, as shown in the music trade Cashbox. It was also covered by Cole's daughter, Natalie, on her 1991 album, Unforgettable... with Love. "White Christmas" is an Irving Berlin song reminiscing about an old-fashioned Christmas setting. Accounts vary as to when and where Berlin wrote the song. One story is that he wrote it in 1940, poolside at the Biltmore hotel in Phoenix, Arizona. He often stayed up all night writing  he told his secretary, "Grab your pen and take down this song. I just wrote the best song I've ever written  heck, I just wrote the best song that anybody's ever written!" Both songs were produced with only one thing in mind - to make one of Rose's dreams come true. Sure, there may be a snippet here or a snippet there that may infringe a bit on some part of intellectual property. But for every rule, there is an exception. We assure you that there is nothing, and there will never be anything here for sale or for profit - This is simply a good 'ole family project, with love to Rose Garland --- God Bless. 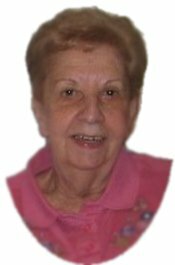 February 17, 2014: I'm so sorry to say that my cousin Rose Garland (Rosie Carlo) has died. She had been battling with a variety of cancer for years and was one of the most courageous and spiritual people I'd ever known. From my Mom's family of brothers & sisters once numbering 19, Rosie was the eldest of the Carlo cousins -- but she was never "old". It wasnt until just a few years ago that she made me aware that I was the youngest of the cousins, which somehow I never realized - but after all these years this revelation finally helped me find a legitimate place in the family history book after usually being told how I was "too young to remember" most of the family's "good time" tales. Rosie and Tommy Garland lived next door to us when I was a kid. Tom, a mild and friendly, smiling Irishman took on more than his fair share of family ribbing having the "honor" of being the family's first "midi-gahn" (aka Irish) - a role that, many years later, was passed onto my half-Irish wife by Rosie's brother, and my Godfather, "Big Mike". Then one day The Garlands left and moved away to Jersey. For the first time in my life, life had suddenly changed -- and although Rosie's Mom and Dad - my Aunt Fanny and Uncle Johnny - remained behind awhile along with her brother Mike, geography, as it sadly but usually does, made us lose touch. Sure there was all of the ocassional "wakes and weddings" in-touch's and in-between's. The welcoming of Joe and Bill as they joined hands with Patricia and Linda. The blessed arrival of Rosie's Granddaughters, "the twins" Amber and Ashley. The passing of the uncles, and aunts, and brothers and sisters and cousins. Thankfully, regardless of geographical or mystical separation, family keeps warm inside the heart, and if you're lucky, even later in, or beyond life you get to rekindle that warmth more often. My chance at more often came when Cousin Rosie called me one day and told me that it was one of her life long dreams to record a song. I mean I recalled hearing the sound of her voice through our kitchen window singing "Cape Cod" when I was a kid, and we did have lots of deep rooted musical talent in our family, but I never thought that she "really" sang. I quickly put together some musical arangements and recorded the instrumental tracks to the 1936 Charlie Chaplin song "Smile". I then enlisted the vocal talents of my brother John and cousin Bobby. Then on August 6, 2011, the families came together over my home and studio (of course first to eat) and the making the magic of putting her dream together began. A few days later as I worked on mixing and doing the post production, I suddenly had a eureka moment! I asked my brother to come over right away. I then used a different kind of magic to turn the song into a duet between Rosie and my brother John. When cousin Rosie finally received the CD's, not only was she happy to have a life long dream fulfilled, but she was amazed and thrilled, and happily surprised to tears. Now, a little over a year after the passing of my own brother John, sadly for us, Cousin Rose Garland gets the opportunity in the beyond life, to rekindle that family warmth with my brother and her husband Tommy, and her Mom and Dad, and her many other family and friends. But we'll never forget her legacy of spirit and courage and how she truly believed that "although a tear may be ever so near and though there are clouds in the sky, you'll get by if you .... just ..... smile"
As for myself, and after a long career with music, till this day the "Smile sessions" are the most fulfilling moments of my entire musical life. God bless cousin, and we'll "keep the faith and we'll keep on trying ... and when we remember you, we'll just smile"